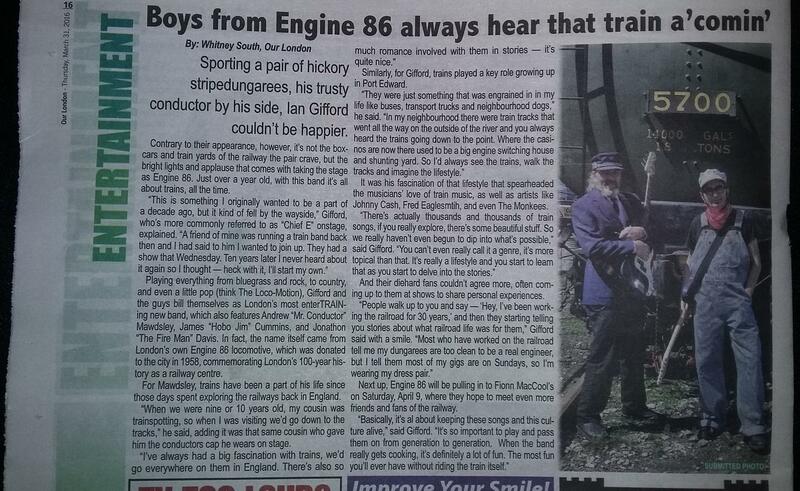 Engine 86 - Roots, Rock and Rails: Engine 86 featured in Our London! Engine 86 featured in Our London! Engine 86 gets some press! Thanks to Whitney South of "Our London" (Metroland Media) for this but thanks to Carol Beechey again for the photo that they used for this article. They even mention that we are playing Saturday, April 9th at Fionn MacCool's in London! WHoooooooooooooooot! Engine 86 Easter kickoff party & upcoming shows!